In what was a closer final result than everyone predicted, businessman Bruce Rauner came out on top and bested State Senator Kirk Dillard for the Republican Nomination for Illinois Governor. This tee's up what surely is going to be a 'class warfare' battle. We here at the Truth Team are ready! Rauner and Quinn quickly pivoted to the general election campaign in their victory speeches late Tuesday. 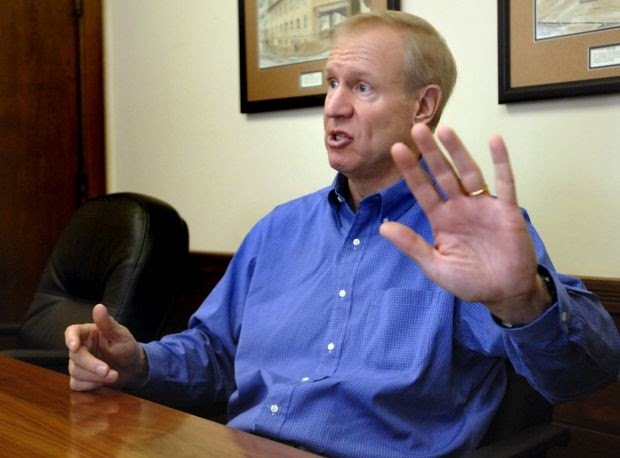 Quinn called working-class people “the real everyday heroes of our state” and then ripped Rauner, contending the challenger's wealth left him out of touch.